Our branded slippers are based on various popular Film, TV, Sport and Rock Band themes. Fully licensed and authorised – they make a great gift for fans. 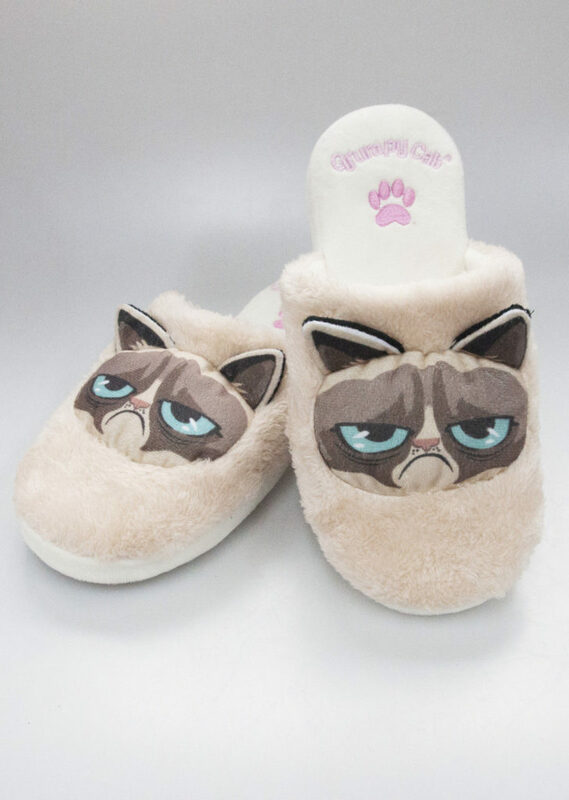 The design is based on Grumpy Cat. These slip-on mule slippers are for indoor use only and they are available in women’s/girl’s sizes Medium (UK 2-4, US 3-5, EU 34-37) and Large (UK 5-7, US 6-8, EU 38-41).